How do you ladies shape your eyebrow? Shave with eyebrow shaper or pull them off one by one with tweezers? Or wax them off in beauty salon? 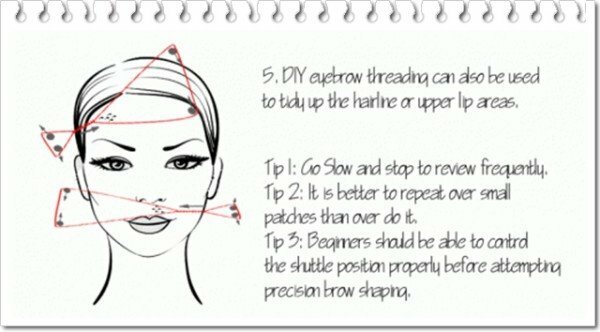 A perfect eyebrow can lift up your whole appearance, if you are still in a look for a cool way how to shape your eyebrows like a professional, then you might love the eyebrow threading technique you can do yourself at home as well as a few suggestion that we have found below. 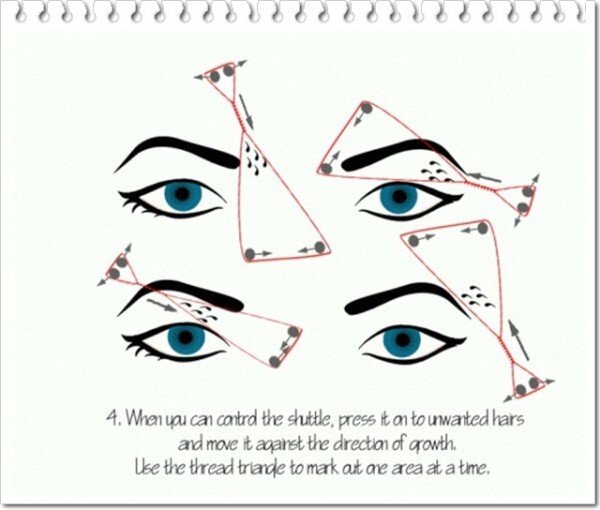 To make sure the eyebrow is perfectly shaped before your plunking them off, you should draw the eyebrow shape you want first with an eyebrow pencil. 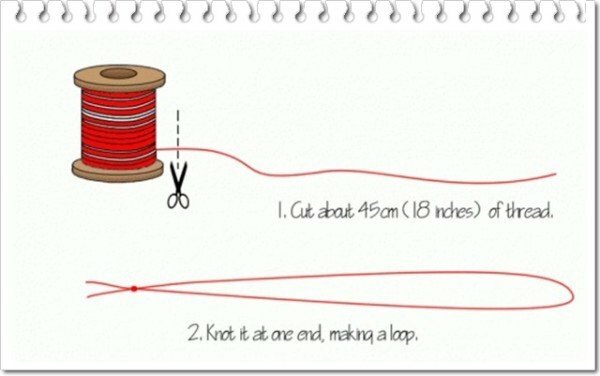 Cut the thread, and tie its end in a form of a loop. Then hold one portion of the thread in one hand, and the other part in another hand to make shuttle. Twist the middle part about five to six times, keeping one part of the wire tightly. You’ll get a shape of infinity or hourglass. The hair will be removed by the twisted central part of the thread. You can remove hairs on your whole face, upper and below mouth and elsewhere of whole body. It’s a bit painful so be sure to do it after using hot towel to make your pore open.